Today is the feast of St Isfrid. After the death of St Norbert in 1134, the Order continued to spread rapidly throughout Germany, and beyond. Only 9 years after his death, there were even Norbertines in England. It is sometimes forgotten, however, that large swathes of Europe in this period were still pagan, never having heard the Word of God. In fact, Magdeburg, where Norbert was archbishop, was on the very edge of Christendom. As the earlier Benedictine monasteries were to England in the time of Gregory the Great, so were Norbertine monasteries to Germany in the 12th century: beacons of truth and charity in a world that did not know Christ, drawing men and women to that living spring of water. We can sometimes forget the importance of the contemplative life in the Church’s missionary activity, especially today, since we have forgotten its value, and vivifying effect on the world. In fact, the Norbertine way of life itself signifies the Church’s dual function as both the active Martha and the contemplative Mary, for our contemplative life overflows into active work. 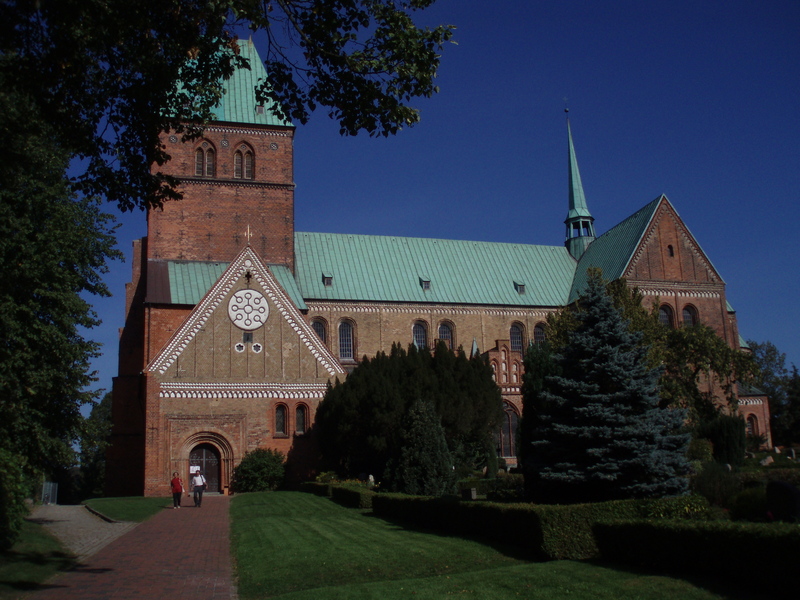 Norbertine monasteries provided the Church with many bishops in the mediaeval period, especially north-east Germany, and Isfrid was the second Norbertine bishop of Ratzeburg (which is near Lübeck), succeeding St Evermode (later, the Norbertine St Ludolph would also become Bishop of Ratzeburg). Then, as now, there were conflicts between Germany and Rome. In fact, the reform movement of St Gregory VII – which led to the foundation of our Order – was spurred on by this conflict, which, although it externally at this time revolved around the so-called investiture controversy, was – and is – essentially a conflict between the Church’s authority to preach the Gospel, and the world’s authority to propagate its own capricious values. In the time of Gregory VII, there were many in Germany, as there are today, who stood up for Christ, lone sheep in a den of wolves, such as St Altmann of Passau (whose successor as Bishop of Passau has recently contributed to the Family Synod discussion). A later Bavarian duke, Henry the Lion, who also reigned as a Saxon duke, supported the evangelising mission of these Norbertine bishops, and he suffered the consequences of his loyalty, and was deposed by the emperor (though later restored). Isfrid and his fellow Norbertines, like the duke, suffered persecution and rebukes during this period, but the wisdom, humility and fortitude of these saints shone more brightly that the errors and hatred of the powerful. Like St Norbert, Isfrid was sought out to reconcile disputes, and he worked many miracles, cured the blind, and transformed water into wine. May Isfrid and his fellow Norbertine missionaries be an inspiration and help to those engaged in evangelising Europe once more.